grip and pommel: 14 1/8"
This sword replicates a dadao used by the Chinese military during the Japanese invasion of China in the pre-WWII era. 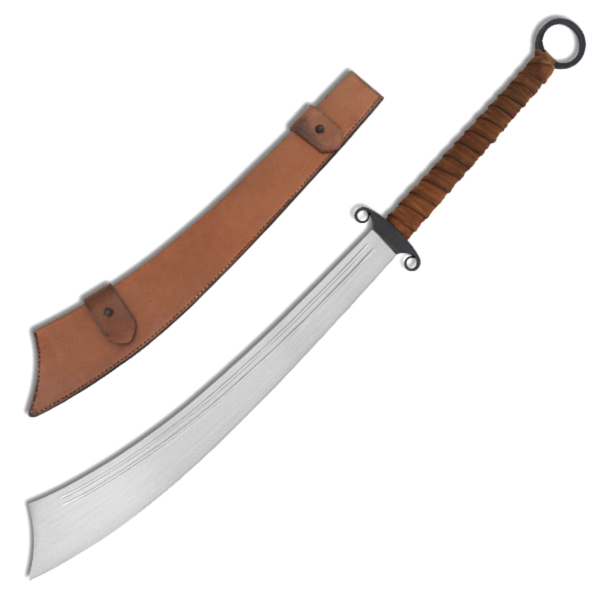 The poorly equipped Chinese army would have used any of several different materials to wrap the long two-handed grip - many dadao were simply wrapped with strips of clothing fabric, knotted in place - this one is wrapped in leather. 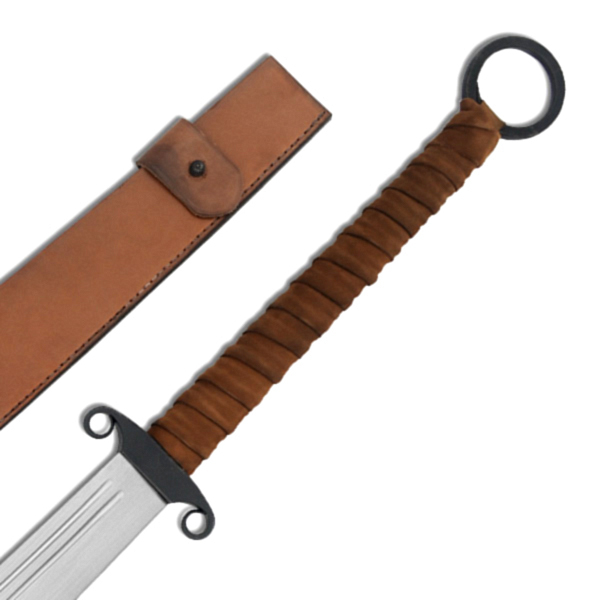 The originals usually did not have scabbards, but a leather blade sheath is included with this reproduction for safety. 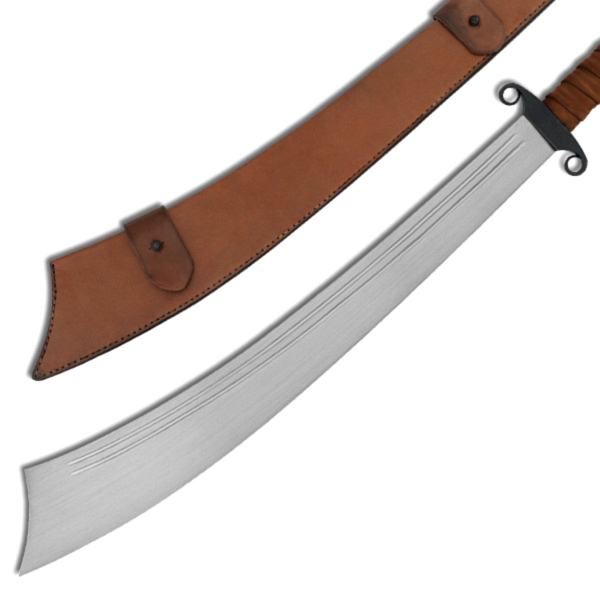 This sword is extremely sharp and ruggedly built to handle heavy-duty cutting - anyone who has ever done test cutting with a dadao can testify to it's impressive power.